After selling your property/ vehicle, you are required to notify the legal office or town about the change of ownership. Legally speaking, this is what is referred to as release of liability. Usually every state demands for a notification once your property/vehicle has been sold in a certain number of days. This could be in the form of giving up of your license plate or by filling up and submitting the release of liability form. Even if you live in a task that does not demand for such submission, its still always better to submit it just to be on a safer side. Another thing to remember here is to complete this task before cancelling the insurance on the vehicle/property because that can create legal issues. You must always check whether release of liability is a state requirement or not. If it is, then forms are available online for download which you can fill and submit to the local office. Also, ensure that the paperwork for this is absolutely complete so that it doesn’t call for any sort of trouble later on. Are Release of Liability, Notice of Transfer, Liability Waiver same? 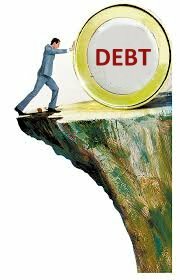 Release of liability, as mentioned above is an agreement that allows a person to release liability from any event for an asset or cash. A state might or might not demand it. But it is always better to submit it to your local office to avoid any legal issues. Notice of transfer is related to leasehold property conveyancing transaction. When a purchase conveyancing transaction of property is completed, the purchaser’s solicitors are required to submit the notice of transfer on their agents or landlords indicating a change of ownership. This change of ownership is due to change in the conveyance duties. Often a fee is charged for the receipt and return of this transfer for which the purchasing client is responsible. On the other hand, liability waiver is a written document or a proof in which one party promises not to sue another for any personal injuries. These are most commonly found in recreational activities or rental companies. 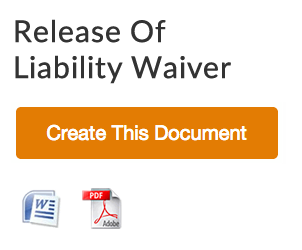 Below is Below is a list of liability waiver you may need. Feel free to download them if necessary.